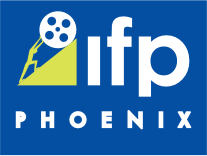 Because of his commitment to the film industry in Arizona, his love for the state and his support of the the newly re-established Arizona Office of Film and Digital Media, the Phoenix Film Foundation is pleased to announce that the recipient of its 2017 Visionary Award is Bob Parsons. In 2016, Parsons founded SNEAKY BIG Studios, a state-of-the-art production studio in Scottsdale with a recording studio, audio mix, editing suites and one of the largest sound stages in Arizona. As a fully integrated, 4k one-stop facility, SNEAKY BIG was built by Parsons to handle the growing creative needs of his own businesses, as well as the resurgence in Arizona’s film industry. His support of the film industry is further evidenced by his contribution to the newly re-established Arizona Office of Film and Digital Media, which aims to show the world that Hollywood-level production is available right here in Arizona. In 2012, Parsons and his wife Renee founded The Bob & Renee Parsons Foundation, which has awarded more than $120 million in critical funds to charitable organizations. The Foundation focuses its support on nonprofit organizations that are successfully addressing issues associated with at-risk youth, homelessness, education, veterans’ needs and medical care for underserved populations. Parsons founded YAM Worldwide Inc. in 2012 and today, Parsons’ core businesses mirror the industries he is most passionate about which include: Parsons Xtreme Golf (PXG), Scottsdale National Golf Club, Harley-Davidson of Scottsdale, Southern Thunder Harley-Davidson, GO AZ Motorcycles, GO AZ Motorcycles West, Spooky Fast Customs, BIG YAM: The Parsons Agency, YAM Capital, YAMWOOD Foundry and YAM Properties. Thank you, Mr. Parsons, for your commitment to film in Arizona.